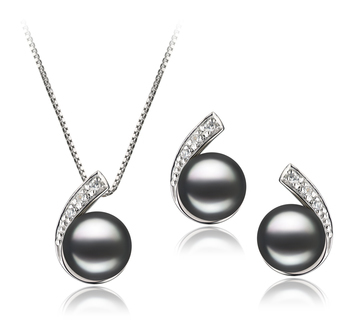 Timeless and classic, the 7-8mm Black Freshwater Pearl Set silently reflects on the times that have passed us by as the earrings and the necklace lie upon our ears and neckline. 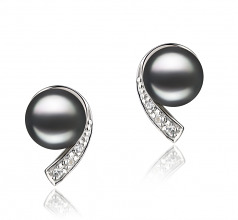 Set in the .925 Sterling Silver bases, the swirling of its base shows the sparkling and magnificent presentation, three glistening cubic zirconias accent gems embedded within each swirling swirl. 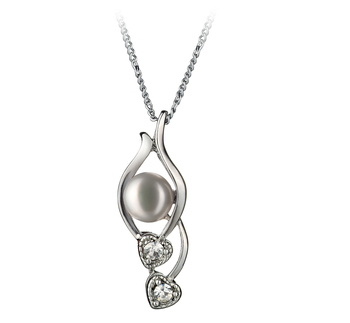 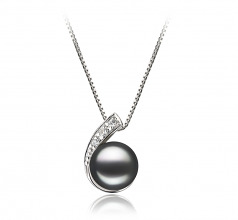 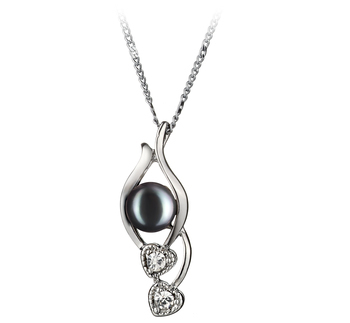 The black freshwater pearl features an (AAA) button shape and equally amazing luster. 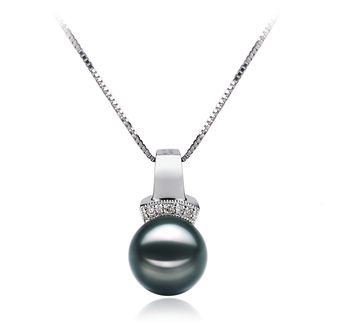 The near perfect button shape works in perfect harmony with its surface luster. 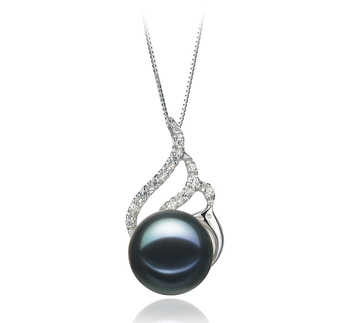 The (AAA) luster shows its intense shine and brilliance sparkling fascination. 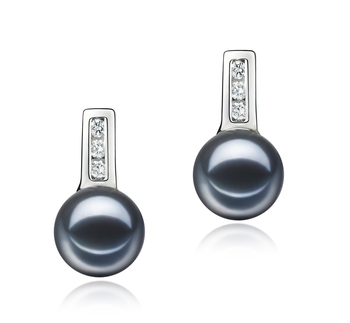 The brilliant polish radiates off its zirconia neighbors to create intriguing rays that race along the gleaming sterling silver for the ultimate in a show stopping set of black Freshwater Pearl Earrings. Combined with an elegant hairstyle, your next casual, business or formal outing will be a dress to impress event.